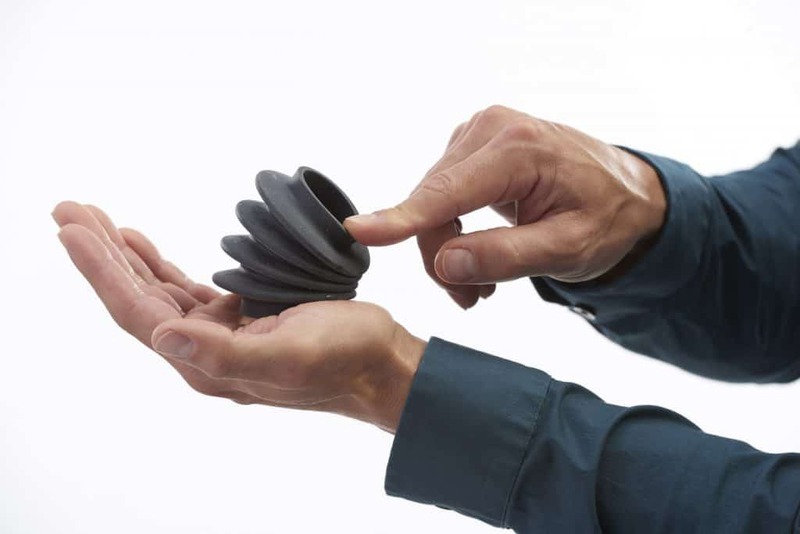 The new rubber-like PolyJet 3D printing material introduces flexibility and versatility like never before. It’s highly durable and tear-resistant properties make it the perfect solution in the prototyping of rubber-like material products due to its ability to withstand repeated flexing and bending during the verification stage. This material is designed for use on the Objet Connex 3D printing series to ensure precise prototyping and fast delivery. Where can I use the Agilus Material? With Stratasys Objet 3D printers you will be amazed at how easy it is to produce realistic models in-house. Through introducing the Objet Connex 3D printing system to your in-house processes you will experience unparalleled speed and the ability to prototype using a range of materials with a variety of valuable properties including the new rubber-like PolyJet material Agilus30. No specialist facilities are required when installing an Objet 3D printer, and it can be placed anywhere within your product design process. There is also no need for special venting because Objet printers do not produce noxious fumes, chemicals or waste. Connex 3D Printers improve communication and collaboration because they produce accurate representations of your design ideas allowing you to share them with your team and your clients for a faster, more confident product development process. To discover more about the new Agilus30 material and its use with the Objet Connex 3D printer, download the specification sheet below.